We talk a lot about Novak Djokovic’s rivalries with contemporaries Rafael Nadal (49 matches), Roger Federer (45) and Andy Murray (34), and rightfully so. After all, this intra-generational tug-of-war is unlike anything the sport has ever seen. Since Roland Garros in 2005, this quartet has accounted for a mind-blowing 42 of 47 Grand Slam singles titles. While the No. 1-ranked Serb’s matchups with Stan Wawrinka may not be quite as numerous, they’ve sure proven to be as competitive as any among the Big Four. For starters, it seems there’s always so much on the line when they meet. In fact, of their 24 career head-to-heads, seven have come at Grand Slams, including two finals, with four going the distance. Ten have come at ATP Masters 1000 events. 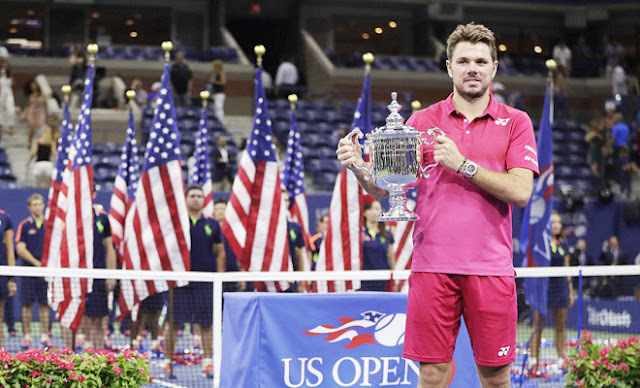 While the 29-year-old Serb came into the 2016 US Open final having won 19 of their 23 previous meetings, Wawrinka’s last two wins had come en route to major titles — the 2014 Australian Open (9-7 in the fifth) and 2015 Roland Garros. So solid is Djokovic’s defense that he forces opponents to play a game on razor-thin margins, a high-risk/high-reward approach that tempts them to go for the lines, for low-percentage shots. He effectively shrinks the court. It was just this kind of tennis that forced Wawrinka into 20 unforced errors in the first set alone on Sunday in Arthur Ashe Stadium. But the No. 3 seed refused to fold. He cut down on the errors in the second set (eight), and in the third saved five of the six break points he faced. Here’s an astounding stat: in all, the 31-year-old would limit Djokovic to converting just three of 17 break-point opportunities in defeating his longtime rival 6-7, 6-4, 7-5, 6-3. This against a guy whom many consider the game’s premier returner.